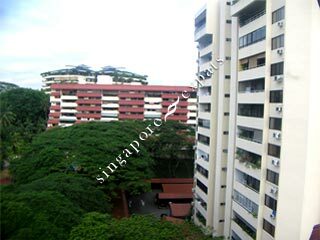 Hillcrest Arcadia is located right beside Arcadia Garden (The Arcadia). It is situated in the quiet and serene vicinity of Arcadia Road along Adam Road. There are apartments and maisionettes units in this condominium. The maisionettes are large in size around 3,000 sq ft. Those looking for big units at reasonable rental should short-list renovated units in this condo development. Hillcrest Arcadia is close the major expressways like the Bukit Timah Expressway (BKE) and Pan Island Expressway (PIE). Orchard Road, top schools, shopping centres and prestigious Singapore Island Country Club are within 5 minutes drive away.